A Few Billion Square Tiles (Free) by Galta is a Minesweeper-inspired multiplayer strategy game that takes the classic title to a global scale. If you enjoy the independent nature of Minesweeper, A Few Billion Square Tiles makes the experience more exciting by removing the restriction of a tiny window, and allowing you to play with or against others. When you launch the game for the first time, you’ll notice a Minesweeper-like playing board. 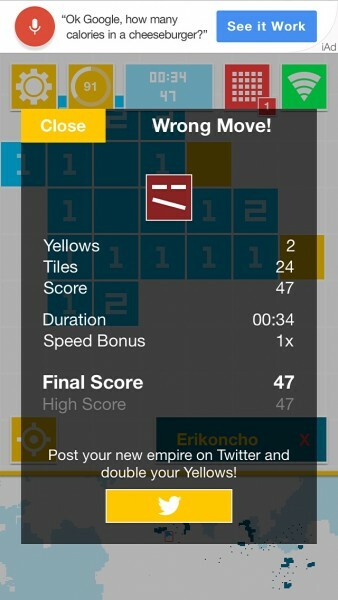 If you go through the tutorial, it will become clear that things should be very familiar to any Minesweeper player. 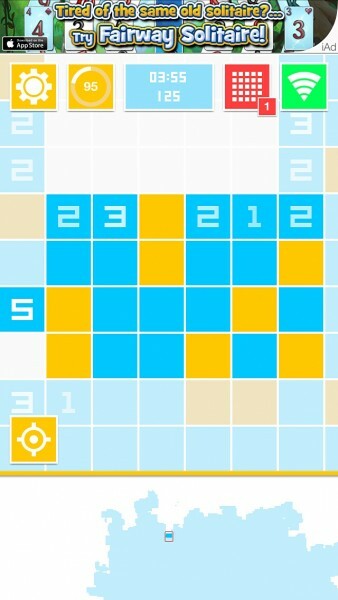 Tap to uncover blue squares, or tap and hold to uncover yellow ones, which are like mines. 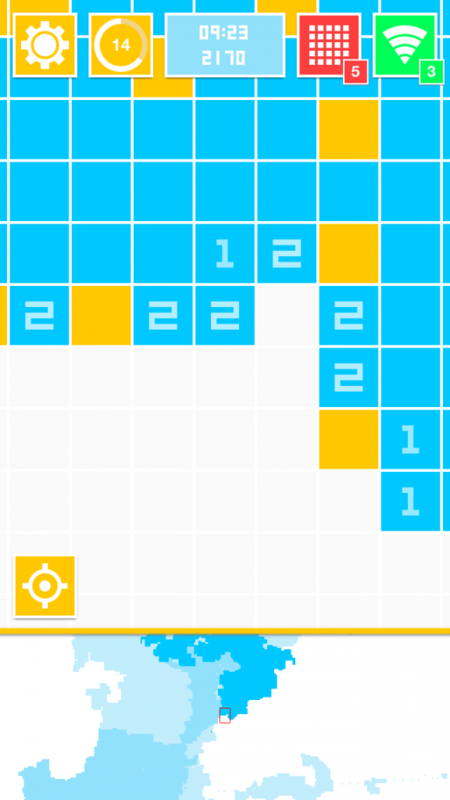 Also, blue squares located around any edge will display a number indicating how many yellow squares are located around their perimeters. There is one difference though: unlike in Minesweeper, where uncovering a mine marks the end of the game, all you have to do is successfully predict where blue or yellow tiles are hidden to keep playing A Few Billion Square Tiles. Although the concept seems simple, I wasn’t able to figure out whether or not I was actually playing at first. At least in my case, the tutorial wasn’t clear enough to get me started. 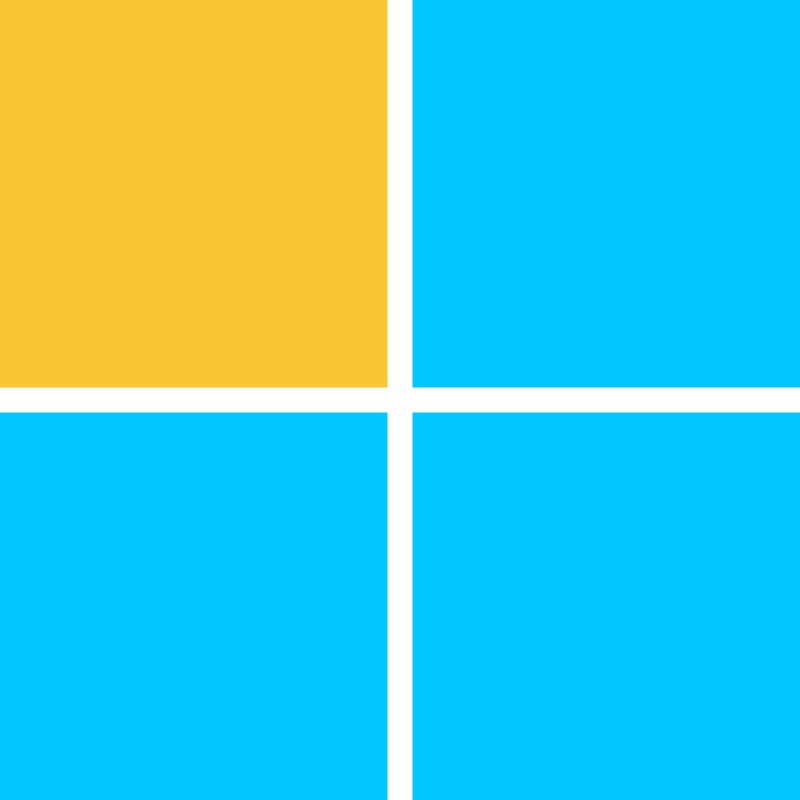 After dismissing it, all I saw was a grid that was already full of yellow and blue squares. The tutorial should be a little clearer in explaining that you’re actually playing the game on a map, and that what you start off looking at is an area filled in by another player. But that wasn’t the case, and after poking around for a couple of days, I finally figured it out. 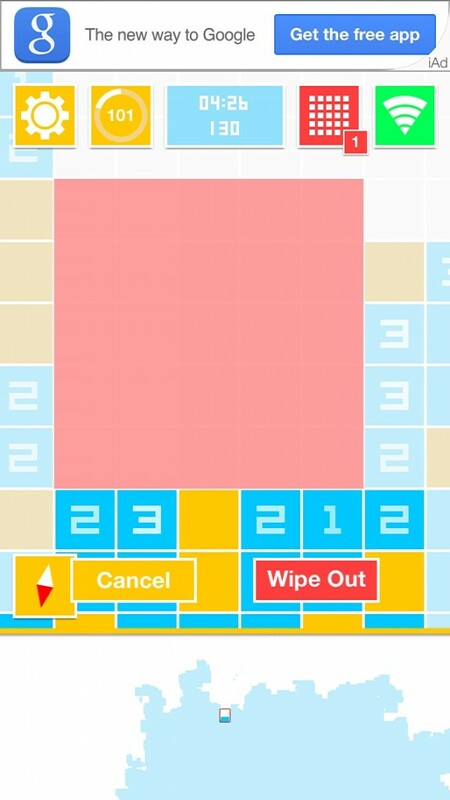 You can pan around the grid that’s shown at the top of the screen, and see a better overview of the map at the bottom, and have to find an empty area to begin uncovering square tiles. 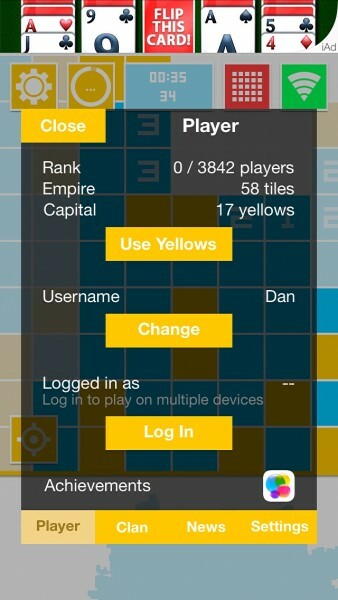 In the world of A Few Billion Square Tiles, you can compare your score, which is counted in the amount of yellow tiles you successfully uncover, with other Game Center users. 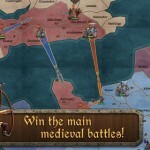 You can also create or join clans of other players to try to build the largest empire in the game, which essentially translates to uncovering the largest region of the map. 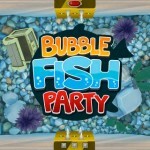 Since the game is free, it is ad-supported through a banner at the top of the screen, but the ads aren’t too intrusive. 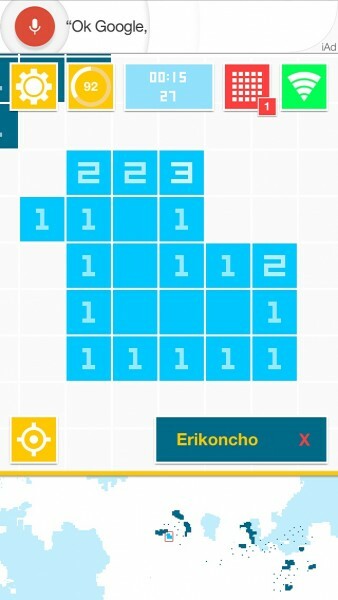 A Few Billion Square Tiles does a great job in reinventing Minesweeper in a sense, while making the game more social and less stressful. What’s also great about it is that you can open it periodically and keep building, rather than playing short games, so you have an incentive to keep going back. Available for iPhone and iPad as a universal app, A Few Billion Square Tiles can be found on the App Store for free. You can also head over to to view the world map online.